Mazda’s new CX-5 will cost from £21,395 when it goes on sale in spring. It will be offered with two or four-wheel drive, with emissions as low as 119g/km and economy of up to 61.4mpg. It's available to pre order now. The CX-5 will be offered with a 2.0-litre 165PS petrol engine or a 2.2-litre diesel with either 150PS or 175PS while both manual and automatic gearboxes are available. The CX-5 uses Mazda’s new Skyactiv technology to help improve fuel economy and reduce emissions by using lightweight materials wherever possible, rather than by installing expensive hybrid systems. Skyactiv technology will also feature in future models like the Mazda6, which premieres at this year’s Geneva Motor Show. 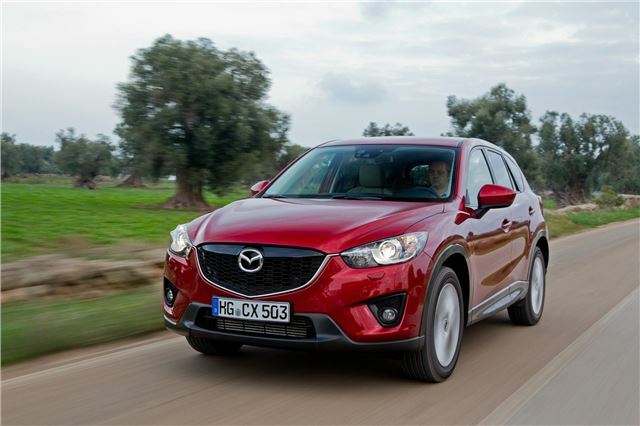 The CX-5 will be offered in eight exterior colours, with cloth or leather trim depending on specification. There are four trim levels – SE-L, SE-L Nav, Sport and Sport Nav. All are well equipped, with the entry level SE-L getting 17-inch alloy wheels, front fog lights, dual zone climate control, parking sensors and privacy glass. Sport models get larger 19-inch wheels, xenon headlights, full leather trim, heated front seats and a reversing camera.